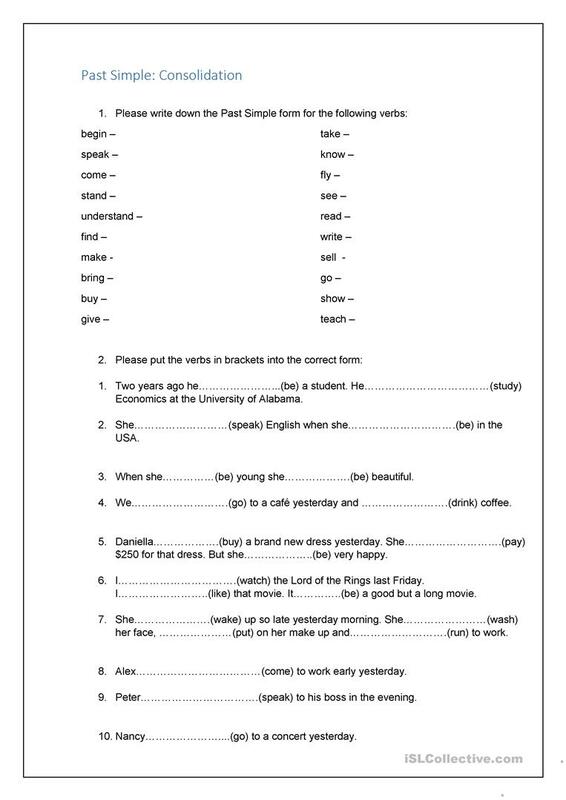 In this gap-fill exercise, students will consolidate the structure of the Past Simple Tense.This exercise suits best adults at the elementary level (A1-A2), and works well when consolidating the use and structure of the Past Simple Tense. 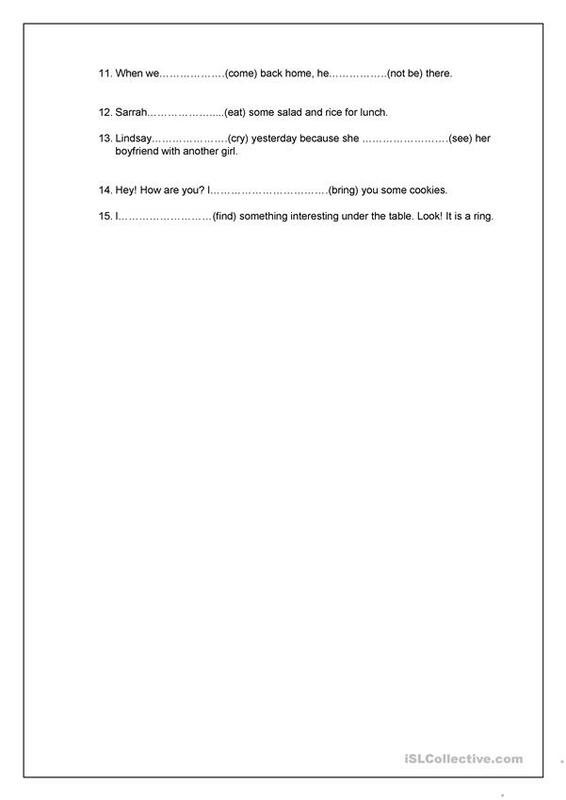 This downloadable worksheet is meant for adults at Elementary (A1) level. It is great for consolidating Past simple tense in English, and is useful for honing your class' Writing skills. ammeliette1 is from/lives in Russia and has been a member of iSLCollective since 2019-03-14 08:48:58. ammeliette1 last logged in on 2019-04-19 11:25:21, and has shared 4 resources on iSLCollective so far.